Your veins are an integral part of your cardiovascular system, helping to send blood back to the heart after it has been pumped throughout the body. 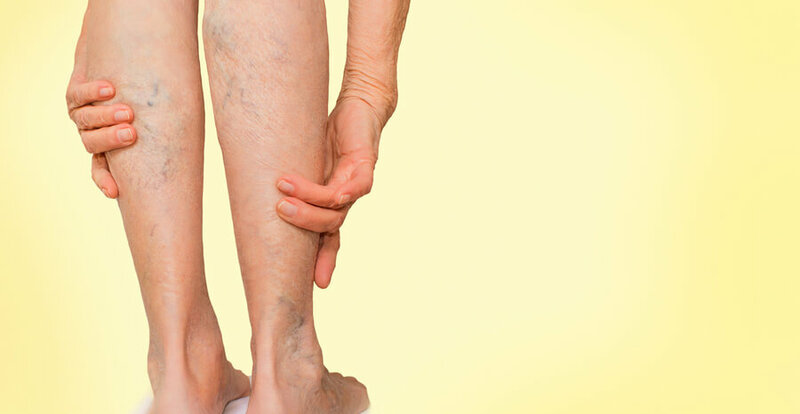 When the veins do not work as they should, you can develop a condition known as chronic venous insufficiency. The two most common reasons for this problem include blood clots that cut off blood flow through the veins and varicose veins. At Rejuveination, we commonly treat varicose veins, helping our clients avoid the many irritating and uncomfortable symptoms of chronic venous insufficiency. While blood clots and varicose veins are two of the most common causes of chronic venous insufficiency, there are others that may also be related, such as obesity, pregnancy and an inactive lifestyle. Women beginning at age 40 and men who are older than 70 have also been shown to be more at risk. No matter what is causing the chronic venous insufficiency, the symptoms typically remain the same. Most symptoms appear in the legs where the blood is likely to pool due to gravity. Initial symptoms that are not treated can quickly lead to more concerning symptoms. Over time, you may find yourself feeling incredibly uncomfortable or fighting off constant infections from skin concerns. These infections are often difficult to treat effectively and usually reoccur. With various treatments available for chronic venous insufficiency today, there is no reason to live with this problem any longer. We encourage you to make an appointment with us if you are experiencing any of these symptoms. We can either set your mind at rest or help you get the treatment personalized for you. Treatments can get rid of the problematic veins forever, instead allowing your blood to flow through veins that are healthy. As your blood flows back to your heart, your uncomfortable symptoms can resolve, and you will not have to feel embarrassed by the appearance of veins any longer. At Rejuveination, we offer several treatments to stop symptoms of chronic venous insufficiency. Sclerotherapy or endovenous thermal ablation are often used to treat varicose veins while medications may be necessary to prevent blood clots. Many other symptoms can be decreased through lifestyle changes, such as by giving up smoking and living a more active lifestyle. If you are ready to get rid of your frustrating symptoms forever, contact us today to make an appointment with one of our experienced professionals.